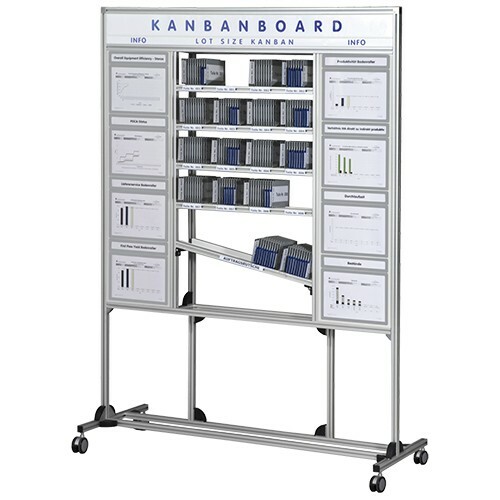 The Kanban lot size board allows control of materials according to the pull principle. Set quantities are replenished according to sort, which helps reduce material inventories and ensure smooth production. ORGATEX control boards can be built individually to customer wishes and adjusted to existing requirements. Please call us on 02173 10640, we will be happy to advise you.